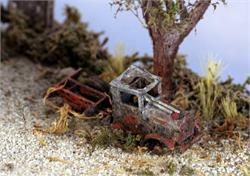 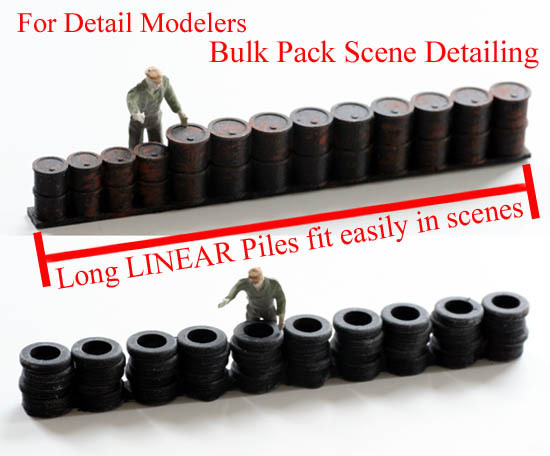 6 Inches + of HO Scale Detail OIL DRUMS and TIRES in Linear Piles / Rows....to fit along side your tracks, structures or in a narrow area that needs extra detailing !! 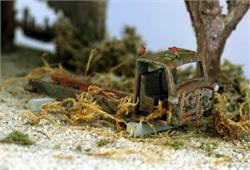 Comes Pre Aged for you, Layout Ready !! 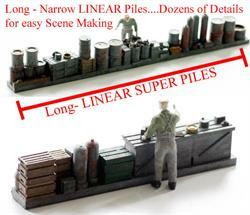 6 Inches + of INDUSTRIAL LINEAR super HO Scale detail....dozens of details all in a long narrow configuration to easily fit along side tracks or a building.... runs in a "narrow linear row"...comes PRE WEATHERED for you, ready to add to the layout !